Studies suggest that elevated circulating tumour necrosis factor- α (TNF- α) may contribute to insulin resistance in patients with type 2 diabetes. The source of plasma TNF has been thought to be adipocytes associated with obesity, but inflammation and infection result in TNF- α production as well. The present study was a randomized controlled clinical trial to evaluate the role of periodontal treatment in glycemic control and its relationship with the inflammatory marker TNF-α in type 2 diabetic subjects with chronic generalized periodontitis. In total, 30 patients were enrolled in the study. The selected patients were randomly assigned into two groups (group A and B) comprising of fifteen patients each. Patients who refused periodontal treatment were automatically placed in the control group; others were randomly assigned to either treatment or control group. Group A (Treatment group) which received treatment with full mouth scaling and root planing followed by systemic Doxycycline (100 mg daily for 14 days) and Group B (Control group) which received no treatment. The plaque index, gingival index, probing depth, clinical attachment loss, HbA1c value, and circulating TNF- α concentrations were measured at baseline and three months after the non-surgical periodontal therapy in both the treatment and control groups. All periodontal parameters, serum TNF- α levels and HbA1c levels were significantly decreased three months after the nonsurgical periodontal therapy compared to the baseline values in the treatment group where as there was no significant change in the control group. 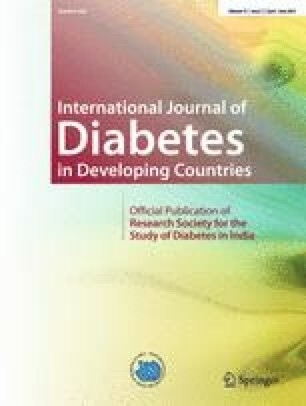 The study results indicated that periodontal treatment could be undertaken along with the standard measures for the diabetic patient care and prevention, and control of periodontal disease must be considered as an integral part of diabetes control.